Already ranked as one of the best international arbitration law firms in France in 2017 by the Leader’s League/Décideurs, Aceris Law has also been ranked as one of the best international arbitration law firms in France and Switzerland in 2018 by the prestigious publication. 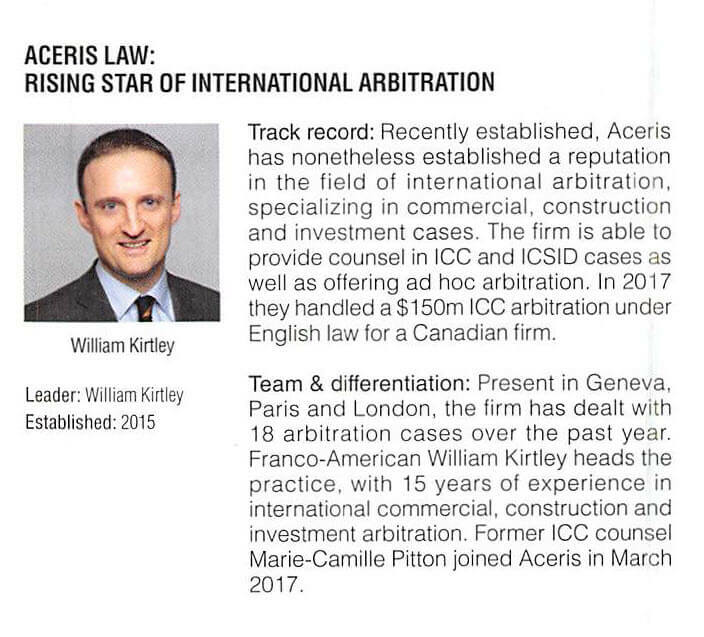 Present in Paris, London and Geneva, but serving clients globally with access to offices in 120 countries, Aceris Law was also named a “Rising Star of International Arbitration” this year. 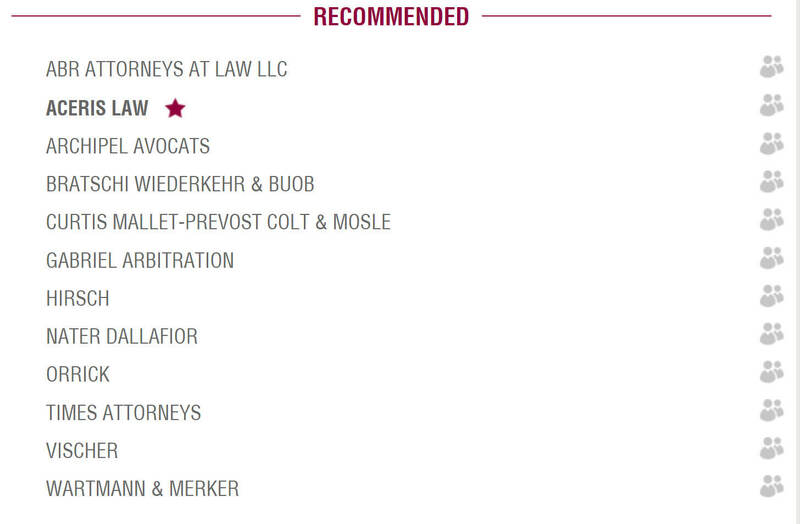 Despite offering highly cost-effective legal representation for international arbitration, Aceris Law is also well-ranked in a variety of other prestigious rankings and highly-praised by clients.